Summer is here, which means bikinis, shorts, tank tops and Rooibos iced tea around the pool and at the beach. If getting into shape for summer has been on your to-do list for the last few months, why not make the decision to start now. Lacking the motivation to go through the process? Never fear when Annique is near, we will help you lose the extra weight! In the beginning, it is important to pay a great deal of attention to the Annique Lifestyle Program. You need to truly understand the program, the philosophy and products. Your group needs to understand why they need to eliminate certain food groups etc. Always keep a record of your ‘before’ and ‘after’ photographs and product testimonials to stay motivated. Which products will help you reach optimal health? We have everything you need! Remember, your health is your wealth! 1. Boost your health with the Annique Lifestyle Shake vitamin and mineral supplement. Not only does the Annique Shake taste good, so the whole family will want to take it too, it also contains an extensive list of essential vitamins and minerals your body needs. 2. Rooibos combined with fennel helps to stimulate metabolism and may suppress appetite and the desire for sweet foods. 3. Senna Leaf is combined with Rooibos to help bring relief from constipation. Combined with Detox tea for an effective weight loss combination. 4. Optimum bowel health’s best friends are the Bifidobacterium and Lactobacillus species (the most common and also most beneficial) of probiotics. 5. The Body Wonder Sponge helps to create baby soft, silky smooth skin ready to absorb moisturisers and cellulite treatments. 6. Supplementing your diet with a multivitamin and mineral is crucial for sustained optimum health, energy and mood. 7. 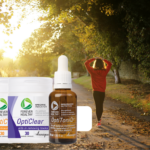 OptiClear (previously known as Zerotox) contains Absorbatox® that adsorbs heavy metals, toxins and nitrates. Heavy metal toxicity can have detrimental effects on your health. 8. A safe fat burner, containing no stimulants or unhealthy weightloss or performance enhancing ingredients. 9. An advanced revolutionary gel formula that helps the body break down fat stored in the stomach, upper arm and thigh areas. Rooibos Lifestyle Shake: Get Healthy the Annique Way! Watch Cindyrella se Spieëlkas and Win!